Held the first Saturday of every month at the garden on warmer days or in the village hall on other days. Please join us when you can to discuss garden plans, activities, tips, etc. Please join us if you can! Manure will be delivered to the garden. Every gardener is asked to only take one or two wheel barrow’s full for their plots. Please take home anything you stored over the winter. We want to have a shed clean up day, and it will be easier for us if everyone removes personal items that were stored for the winter. If you wish to leave it for your use and that of other gardeners, then it is ok to leave it. If you do not wish for others to use it, please take it home or store it on your plot. All items in the shed or in community areas of the garden will be considered available for community use, even if brought in by a gardener. If you do not want anyone to use the item (tool, hose, fertilizer, cart, , etc), please keep the item on your plot or take it home when you are finished with it. If a hose is connected to the water source, it will be considered available for community use. Otherwise, please unhook it after use and store on your plot. Hoses and tools are not supplied by Orange Village, so we always appreciate when people bring items to share. Please join us for Shed clean up day on May 20th from 9am to noon. Rain date is May 21st. 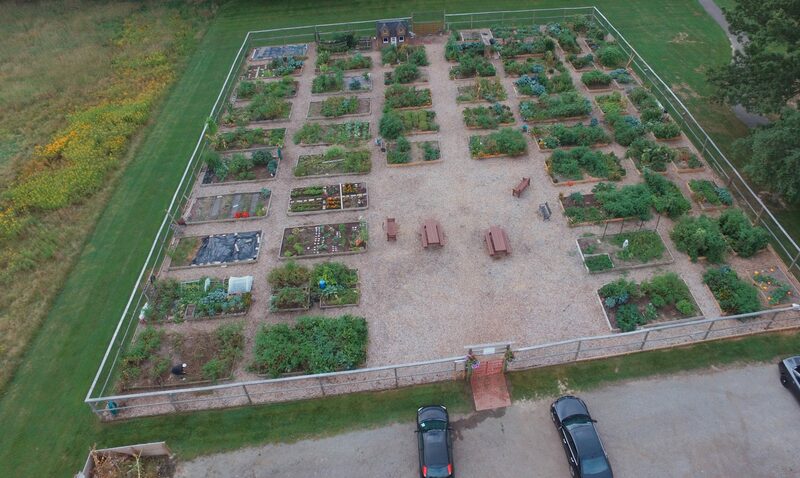 Once the weather is warm enough, every Friday from 6-8pm will be a garden social in the community garden. Come and garden and socialize. Bring snacks or drinks if you like. We look forward to meeting with you! Please keep pathways clean of materials or weeds. To ensure a nice experience for everyone, this will be enforced. You can sign up for delivery of leaf hummus, wood chips, or logs to your home in Orange Village on the Orange Village web site. If you have a group of children, from a school, scout troop, birthday party or other group, and you would like for them to have a garden tour, we would love for them to visit the OVCG. Please let us know how we can help! If you would like to contribute to the blog, please let us know. Social Committee: Julie. We could use another volunteer. Thank you everyone. Please join us at a garden meeting or find us in the garden if you have any comments. Happy Gardening at Orange Village Community Garden!